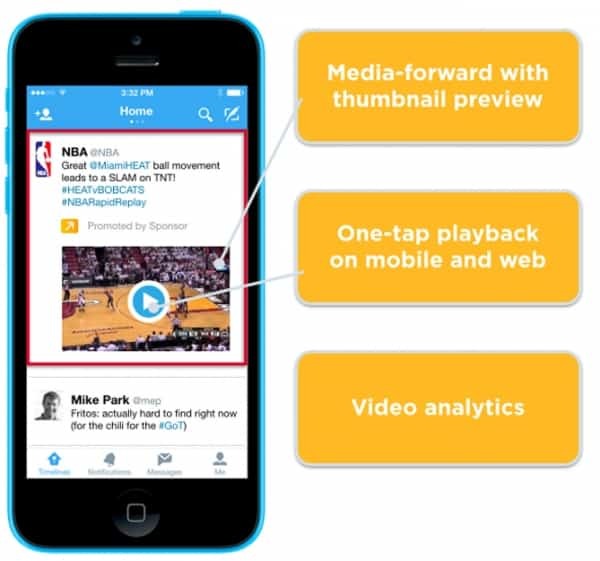 Twitter started its mobile app install ads a year ago and now for the first time, it is allowing advertisers to drive app installs directly from promoted videos. With the introduction of this feature, advertisers will be able to promote apps within video ads and optimize bidding for installs and actions. The company will soon let developers append videos to mobile app promotion ads so consumers can get a better idea of the apps in action. The so-called video app cards will play automatically once Twitter officially rolls them out, though advertisers won’t be charged for those video views. The new option announced on Wednesday came just after Facebook started anoption for the advertisers to pay only after a video has been played for at least 10 seconds. Advertisers will also be able to prioritize installs in their ad buying, either by paying on a cost-per-install basis, or through a bidding process that optimizes for installs while paying cost-per-click (CPC).